I’m not going to lie, this was not the easiest of sales to get Sonia into this outfit. 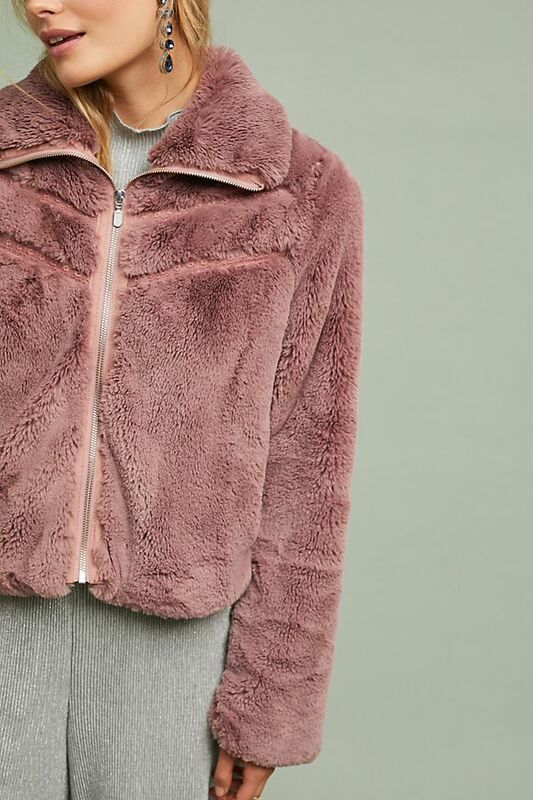 However, we both gravitated toward this amazing (and oh so soft and cozy) 80’s inspired faux fur mauve jacket at the same time and then something amazing happened. At that very moment, I had in my hands this amazing (pictured above) graphinc short sleeve sweater and knit houndstooth pants. 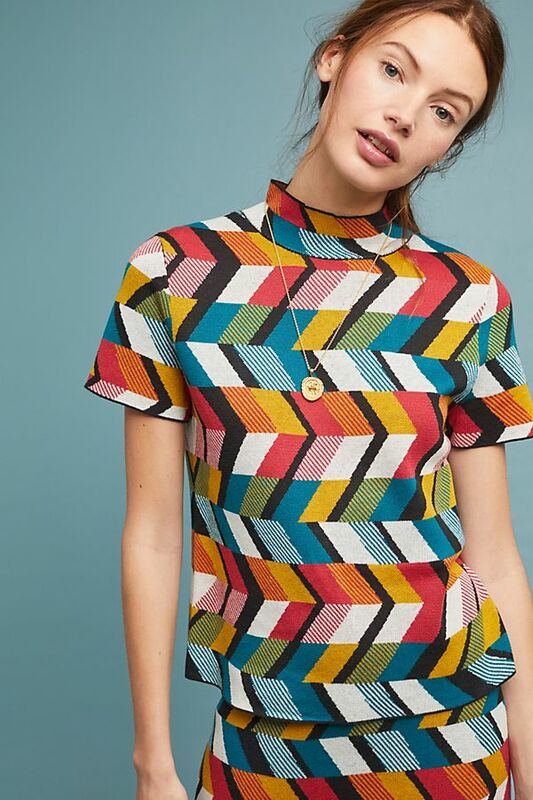 This strange combination had all of the right elements to turn this outfit into a classic example of how to MIX PRINTS. When color texture and Hugh come together in an epic and comfortable outfit, this would be that outfit!